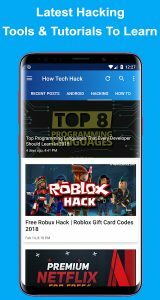 Introducing How Tech Hack – Tech News & Hacks App For You! 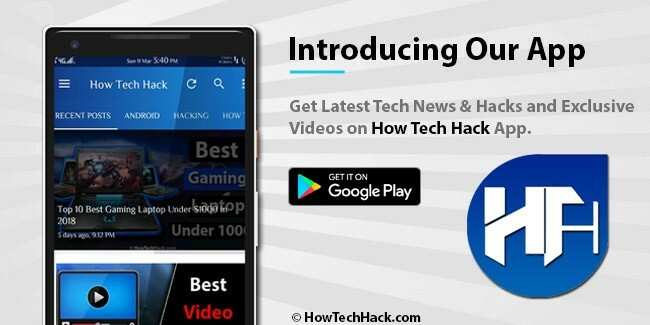 Home OS Android Introducing How Tech Hack – Tech News & Hacks App For You! Our HowTechHack Android App is ready! If you are a tech freak, then you must know that there is no scarcity for latest tech news, gadgets, smartphones. How Tech Hack is an amazing app launched a few days ago. With the help of this app, you can always stay updated as it provides you all the important and relevant data for technology related stuff such as latest Tech new, Tech articles, How to guides and much more. For further details about the app, follow the article provided below. HowTechHack is a really helpful application. This app provides and solves all the problems related to the apps and games. The app offers the review of games, apps and various softwares. The app also offers how to guide on tech, hack, iOS, windows, and Android, Facebook, Whatsapp and other social media. This app provides all the latest news regarding the gadgets, technology, mobile security, internet and much more. Here you will also get the Mod Apk and Hack of Apps. This wonderful app lets you know about the latest trends on the internet. How Tech Hack has received many positive reviews from its users. How Tech Hack has a 5-star rating on Google Play Store. The comments of the users are also very encouraging. You will love using this app. The app is very simple to use and has a user-friendly interface. This app also has a search bar to make your search easy. The app is divided into various categories that are Android, Hacking, and How To. There is also a section of recent posts where you can get all the latest articles and latest Tech news. The app is also divided into categories that are News, iOS, Facebook, Whatsapp, and PC, in all these sections there are article and news related to them. 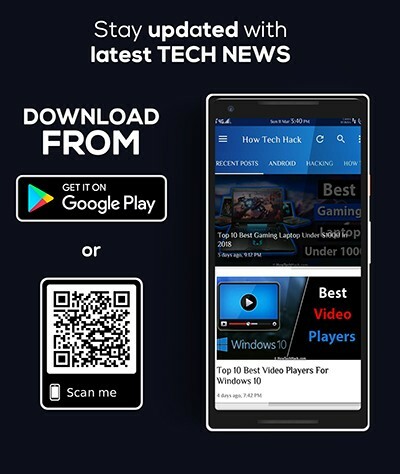 There is also Videos section which shows you all the latest videos about Tech News and the videos related to the list of best games, softwares, androids and much more. You can also stay connected on Twitter and Facebook. In the app, there is also an option of About Us that is related to the How Tech Hack and also the option of Contact Us that is connecting the founder. You can also bookmark your favorite articles and news which you can, later on, catch in the ‘Favorite’ section. There is also a ‘Settings’ option where you change settings of the app according to your own wish. 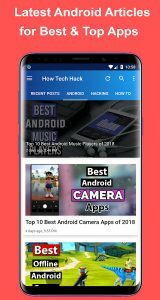 Tech News & Hack: This app provides you all the latest and trending Tech news and also the amazing life hacks which are really helpful in various ways. Lightweight, Clean and Material design Experience: The app is very lightweight at just 7 MB and therefore does not require much space on your device. The tutorials and the news offered by this app are really short and therefore you can get the daily news about the technology very quickly. For a smooth lag free experience, the app uses Google’s Material UI Design Language. Daily How-To Tutorials: On Windows, Android, ios or MAC you can the entire daily How to Guides tutorials easily with the help of this wonderful app. Top Lists of the best out there: This is one of the amazing features of this app as this app provides the list of top 10 best of Games, Softwares, Android apps, ios Apps or the best websites for watching movies, TV etc. 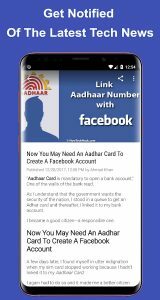 Get notified of latest updates:On your Android device anytime, you can get latest and instant Tech Hack news, using this app. Like and Share your favorites: You can like and share the news that was your favorite. You can also bookmark the news for reading it later or for saving them. Lightning fast browsing:The smooth UI of the app makes the app really lighter and also faster than the other apps. Supports a large variety of devices: This app supports all the types of Android devices whether it is a mobile phone or a tablet. 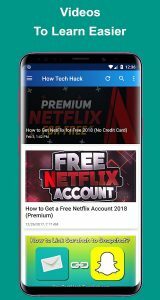 Exclusive Videos: You can have access to the How Tech Hack’s YouTube videos and Facebook videos with the help of this app. There are also videos provided exclusively to the app users. 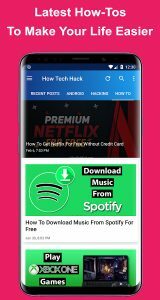 No ads: The app is really not annoying as there are no irritating apps and in app purchases and the app provide you the free Tech news to stay updated. As of now, it’s available for Android users alone. We’ll build this app further and launch it soon for iOS as well. You can download the app on Google Play Store, and if you like the app, kindly rate/review there, plus share your feedback with us here. If you can share the list of features you love to see in this app, we’ll do the needful very soon. Overall, we can conclude this that this app is really amazing which provides all the latest Tech news and the important, latest and helpful articles related to the softwares, games, androids etc. there are also How To Guides which is really helpful. You can also look at the articles that are related to the list of best Androids, Games, Softwares, Launchers and much more. If you like the article, do comment and let us know.